Prague, the Czech Republic capital, is one of those locations in Europe that I feel gets overlooked, especially for kids. Whether you end up visiting during the flower filled spring or during Christmas when Prague does markets best, Prague will delight children of all ages. If you have not settled on accommodation yet I would suggest hotels for short stays and apartments for a stay of a week or more. Some apartments in Prague come with great views and offer a perfect location for sight seeing, I highly suggest researching the specific area as in my opinion location is of utmost importance, especially in Prague. Apartments are great for financial savings and just to bring a bit more comfort and space for a traveling family. Of all the things to do in Prague I think visiting Prague castle is the most impressive. I mean what kid doesn't have fantasies of living in a castle at some point in their lives? The castle is really so much more than just a castle, it is more of a complex full of ornate building, monuments, and gardens. There you can watch the changing of the guard at the front gate (this happens hourly but the one at 12 noon is best), view semi precious stones inlaid in the chapel of St. Wenceslas, run around in the garden, check out the royal crypt and coronation jewels, and explore the White Towers history of torture. A full day of fun can be had on these grounds! 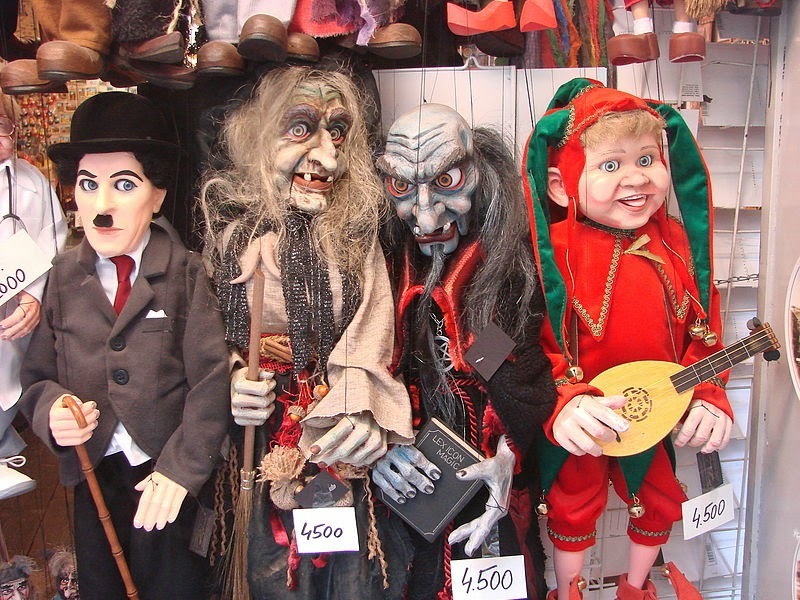 Puppetry is a huge part of the culture in Prague. I spent only 3 days there in 1998 and just stumbled across show after show. They are all over the place. If you don't want to take your chances though be sure to go to the National Marionette Theatre for an amazing show of The Magic Flute by Mozart. If you are in the market for purchasing marionettes then you've come to the right city. Marionettes Rici or Loutky Marionettes (located just below the castle) are 2 wonderful shops with a variety of puppets to choose from. The planetarium is a great spot to explore during a rainy day. They run different shows all day long, some in English. It may not take up a whole day but it is certainly worth a visit if you have the time. It is located in Stromovka park, a quick walk from the “Výstaviště Holešovice” underground station. We have a love/hate relationship with zoos but children do love them so I thought it was worth mentioning. Prague zoo seems to be left off most city guides but I think it's still worth a visit if you are on an extended trip. The zoo is set a little outside of town and offers wonderful views at the top portion of the property. There are lions, giraffes, and all the typical zoo animals as well as lesser known animals such as the Markhor and Ibex. This fun square is the heart of Prague. Kids will love the vibrant feel of the area and can enjoy horse and buggy rides, shopping from street vendors, and a hot cocoa at one of the many cafes. Every hour there is an automated procession of the 12 apostles to watch. The buildings are fascinating Baroque architecture but what will really excite the kids is the 15th century astronomical clock. Be sure to have your camera with you at the square, photo opportunities abound! Crossing over the Vltava River is the Charles Bridge. It is not an ordinary bridge, instead the Charles bridge is full of street vendors, musicians, and painters as well as containing 30 angelic statues. At the far end of the bridge is the Old Town Bridge Tower where kids can climb up to the top to witness the beautiful views of the viaduct in the distance. The castle is nearby so ideally you can stop at both places in the same day. 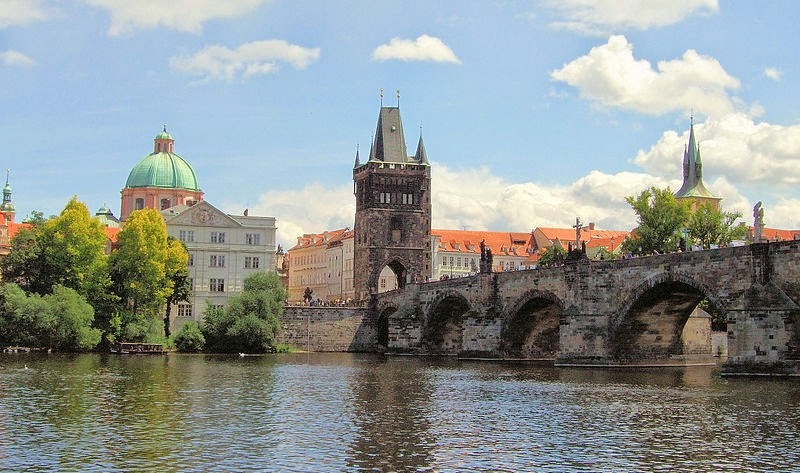 In Prague, many of the best sights are located at the rivers edge. Because of this families love taking river cruises in Prague. It is a particularly worthwhile endeavor if you are short on time. The cruises are usually informal affairs with either lunch or dinner being served buffet style. There is ample space both indoors and out to explore which I always find helpful with my kiddos. Trains are always a hit with kids and a funicular train is even more fun, although sometimes frightening for us parents. 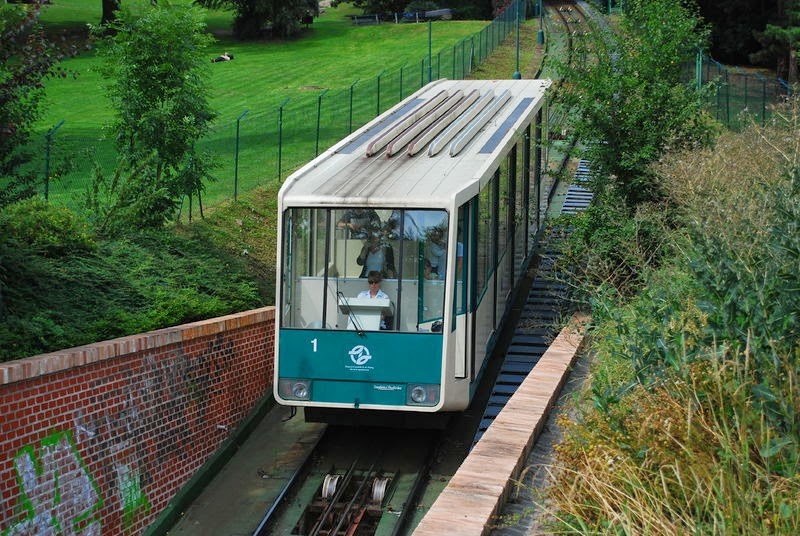 The funicular railway runs from Lesser town up to the top of Petrin hill. Once up top the views are spectacular! You can climb the observation tower, enjoy the rose garden and park, or check out the observatory and hall of mirrors. It seems like it would only be a good trip in the summer but with the nature along the way and views up top, even winter time is a great time to head out on this excursion. Playgrounds, parks, and gardens are all over the place in Prague, making it very child friendly overall. One of our favorites is the Franciscan Garden and playground, a well maintained garden that used to be private. There is a modern playground, beautiful flowers, and loads of shaded benches perfect for parents to relax while enjoying their children play. Kampa playground, near the Charles bridge is perfect when in the area. I don't know about you but my guys love a good romp around a playground especially after sight seeing all day and Kampa seems perfectly placed between many of the top sights in the city. Some days you just miss a bit of home, have been sightseeing too much, or maybe it is just rainy and dreary out. The best thing for those kinds of days is a indoor playground, and Prague has loads of them to choose from. Zirafa is probably the best one in Prague although it is deceptively pricey. There are indoor and outdoor activities as well as being very close to a great water park. You can easily spend 1/2 a day there. Lvicek is another notable spot, not quite as large as Zirafa but impressive, clean, and modern none the less. On top of the things I have listed above Prague also has skating rinks, Christmas markets, flight simulators, bowling alleys, large public pools, fascinating museums, and so much more. 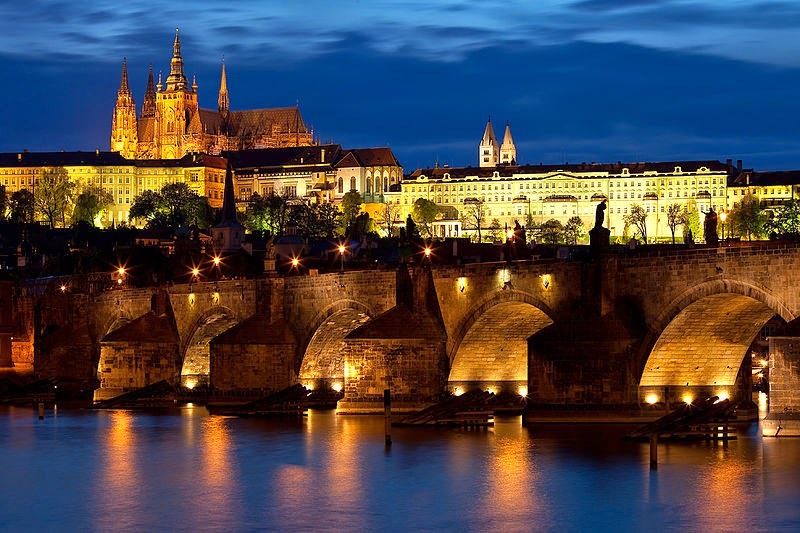 I have no doubt that you and your children can and will have a great time when visiting Prague!